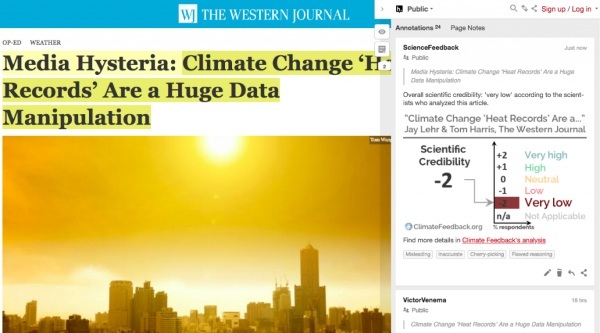 The website works with a network of scientists that basically read over the news in climate and health and let you know which articles to trust and which ones aren’t quite hitting the mark. Remember, when it comes to the 24 hour news cycle, many articles are written quickly with the intent to keep you reading and sharing. This doesn’t always mean that it’s the best information. This website gives a break down of what is wrong (or right!) with the articles so that you can make an informed choice about the information. Knowledge is power and staying well informed will only help everyone.